A few weeks ago the prominent mainline denominational magazine Christian Century did an interview with me, an honor in which we are still delighting. In that interview I was asked to name some authors that would appeal to the Century readership that they may not know well. I named the spiritual formation author Ruth Haley Barton, the Biblical scholar and philosopher of aesthetics Calvin Seerveld, and a few others they needed to edit out due to space constraints. I was quick to mention the astute and provocative writings of Brian Walsh. His several works are among my favorite books, each for different reasons. I am not sure if Subversive Christianity, a small paperback published in 1992, was the first book on which I was invited provide feedback on the manuscript, or if it was the first book that mentioned me in the acknowledgements, but I think it was. So I feel pretty connected to this, and hope our friends and customers will take notice of this brand new edition. The first edition has been long out of print – until now, with this new reprinted, expanded version. My old copy was certainly one of my most prized possessions. That is, until I gave it away, or maybe sold it out from under myself. I’ve been personally awaiting this reprint for more than a decade! The first edition of the book was published by a faithful little indie press, but was never well known. It was just four meaty chapters, each given as speeches or keynote talks, all delivered in the harsh Cold War years following the seminal Transforming Vision: Shaping a Christian Worldview, co-authored by Walsh with Richard Middleton in 1984. Brian was carefully reading Walter Brueggemann – your welcome, Brian, for turning you on to The Prophetic Imagination, which for some deluded reason I fancy having done, even though I suppose it isn’t even true, since you thank Richard Middleton for that lead. On some pages, Subversive Christianity could be called “Brueggemann-esque.” With a tone of lament and pathos and a profound belief in how the Biblical text can serve as a counter-narrative to imperial design, evoking a new imagination, it offers fresh energy to break out of the accommodated captivity of the people of God. 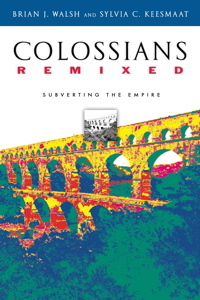 Eventually, this engaged pathos and socio- cultural resistance was explored in Colossians Remixed: Subverting the Empire (still the best commentary on Colossians, perhaps the best commentary on any Biblical book I’ve ever experienced reading!) Although separated by two decades it isn’t that big of a jump from the punchy, succinct Subversive Christianity: Imaging God in Babylon (catch that important sub-title) and the dense, wide-ranging, spectacular bit of analysis of the dislocating pressures of our nomadic culture in Beyond Homelessness: Christian Faith in a Culture of Displacement coauthored with Hope College environmental science professor, Stephen Bouma-Predigar. The shift from grief to hope, from Good Friday to Easter, isn’t easy, but it is the arc of the Biblical story, even though too many churches and Christian TV preachers and Christian books don’t push us too deeply to consider these things. This book helps us with that, immensely so. In the first pages of Subversive Christianity Walsh confesses to not dealing much with suffering in Transforming Vision and this personal remark is important. Indeed, the third chapter, about grief and lament, was delivered the night of the death of a dear colleague, an IVCF staff worker at Brock University; again the pathos is palpable, as we lament the human condition, our own souls, and particularly the sadnesses of a culture bent on war and materialism, led by scholars and leaders who promote false hopes and harmful ideas. This critical demeanor, grounded in grief, is abundantly clear in Walsh’s feisty insistence that there is a malaise loose in the land, and that it is urgent to name it. And name it he does. This is exactly right, and these chapters do indeed bring together very insightful cultural studies and socio-political analysis with tremendous, exciting Bible exposition. By the way, I think this talk was first delivered at the Jubilee conference in Pittsburgh. Besides dancing with Brian to “Brown Eyed Girl” that year, this talk was a true highlight in the history of great Jubilee talks. The third chapter of Subversive… is “Waiting for a Miracle: Christian Grief at the End of History” and, as you might guess if you followed much-discussed books from those years, he contrasts the then-popular scholar Francis Fukuyma who released The End of History that year (and who has another new much-discussed wonky book out this month, by the way) at first with Bruce Cockburn’s song inspired by Central American peasants, “Waiting for a Miracle,” but then, surprisingly, in a brilliant section, with the true prophet, Jeremiah. This is a fabulous example of an incisive critique of a modern scholar and his role in shaping North American political and economic policy, and then a shift to profound Biblical lament. It is hard to say which of the chapters in this book is my favorite, but each offer profound insight, and reward repeated readings. And this one is stunning. The last chapter is “Waiting for a Miracle: Christian Hope at the End of History” (notice the one-word switch in the sub-title.) In this chapter he cites Cockburn’s “pilloried saints” and Jeremiah (again.) I love the “real estate at the end of history” piece, about the stunt where Jeremiah buys land behind enemy lines, and how Brian uses that as a parable for our times. Wow! He insists we are all still “waiting for a miracle” but this time, with hope, hope that we can embody and live into. I have to admit when we got the new edition in a week ago, I turned to this chapter first. These questions about our social location and the ethos of the age sets him up for amazingly rich, thoughtful, Bible-infused social criticism,. (And, yes, Bruce Cockburn’s recent work comes in to play once again. Walsh has written a whole book on Cockburn, after all, so you can’t blame him using that rock poet as an inspiration.) I rarely say this about new editions, revised and updated books that have a meager new foreword or afterward, but I will now: even if you have the first edition, that thin black paperback, it is well worth it to get this new one, if only for this new last chapter. My goodness, am I glad this new edition has been released! (The abstract oil painting on canvas on the cover isn’t given justice in the thumbnail above — it works well on the real cover and you should ponder it.) The new chapter is good – strident, passionate, honest, but yet full of Biblical hope. His work on Josiah (applied to the regime of President Obama, event) is fantastic, I think. Walsh amazes me; his ability to name gross sins and profound cultural disorientation, and yet call us to a joyful and upbeat kind of new way of life is unique. Look, I read a lot of books (and many of you do too.) And most of us listen to a lot of speakers, take in weekly sermons. There is hardly anybody who writes or preaches like Walsh does, and I am more than happy to commend this — I am compelled to. It might shock you, you might not agree, you may be driven to ponder your own faith community and its cultural accommodation and the maturity of its prophetic imagination. I know this is touchy stuff, and I don’t mean to sound negative or critical, but the diagnosis and re-envisioning going on here is so very useful. You will be better for it, I am sure of it. Build houses in a culture of homelessness. Plant gardens in polluted and contested soil. Get married in a culture of sexual consumerism. Make commitments in a world where we want to always keep our options open. Multiply in a world of dept. Have children at the end of history. Seek shalom in a violent world of geo-political conflict and economic disparity. This is Jeremiah’s word to the exiles. This is Jeremiah’s subversive word to us. 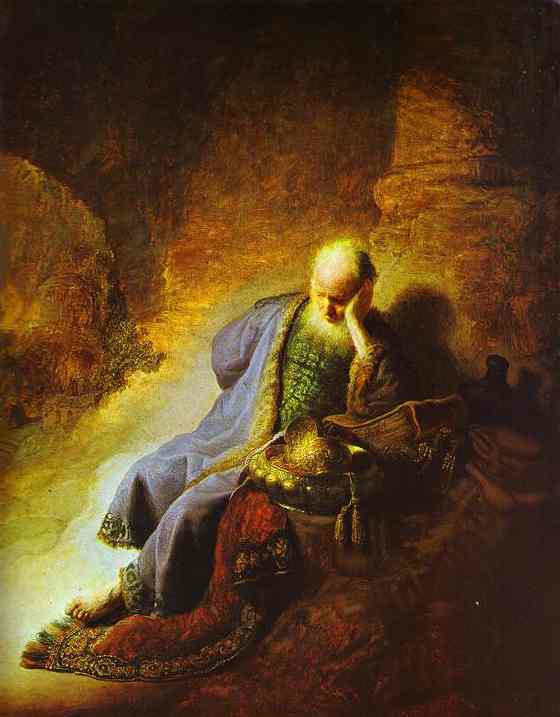 And in this vision we just might see, with Jeremiah, a future with hope. (Jer. 29:11.) This is what is means to work and wait for a miracle. This remains at the heart of a subversive Christianity. This was an inspiring, important, under-recognized book when it came out more than 20 years ago. It is a great grace that it is now available again, expanded just a bit, and I hope our friends and fans buy it, share it, study it, discuss it. May its inspired, subversive resistance to the idols of the age motivate you to say no. May its joyful, costly hope of a cultural restoration based on Christ’s Kingdom coming motivate you to say yes. No and yes. Lament and hope. Guilt and grace. This book is a gift. Thanks be to God. Brian’s meager royalties from this book, by the way, all go to our friends Rob & Kirstin Vander Geissen-Reitsma and their creative community development work through *cino and their Huss Project in Three Rivers Michigan. This is a set of 4 week’s worth of daily readings, studies of lectionary texts (mostly from Isaiah coupled with seasonal NT texts) with a serious contextualized reading of these passages. Some of the Isaiah passages are familiar to us while a few may be less so. The hard-to-pronounce names of kings and prophets, nations and armies, are made more clear, brought into focus so we realize what was going on, geo-politically and religiously among the divided kingdoms and such. That they invite us to ponder this and to apply the lessons to our own times, indeed our own lives, is a great holiday gift. It is not sentimental and there is nothing about Christmas ornaments or hot cider or snowy winterscapes. This is Bible study with cultural analysis. Dare I say it is an urgent antidote to some of the ways we’ve, well, you know… One friend who appreciated it a lot called it “Advent with a Vengeance.” Well, sort of. I have read through these short pieces many times, and get something new with each reading. Walsh brings the big picture gospel to bear, as always, and Middleton especially explains the intricacies and drama of Old Testament politics. Mark Vander Vennen – an old pal and peace activist from our days in Pittsburgh, now a wise and respected family therapist – brings his own well-trained Old Testament scholarship to the plot, with very nicely written daily meditations, journeying with us as we wait expectantly. The last week New Testament scholar (and organic farmer) Sylvia Keesmaat eloquently brings it all together. Dr. Keesmaat, by the way, served as chief editor for this whole project, and brings the touch of a scholar and creative wordsmith. This thin book is not light-weight, and for those not used to Old Testament prophetic literature, or for Advent being a time to inhabit the broad Biblical drama, this may even be challenging. Not surprisingly, it has some themes of social criticism, a faithful emphasis on justice and the common good, even as the texts point us towards these concerns. 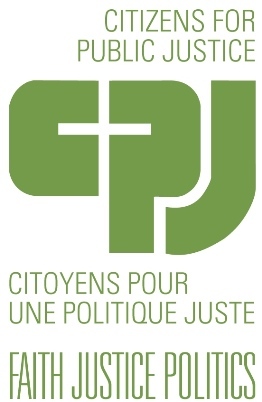 That Advent of Justice was firstly produced to commemorate the 40th anniversary of a Canadian social justice advocacy group – the Citizens for Public Justice (formerly the Committee for Justice & Liberty) – is fitting. Old heroes of mine, such as the late, great Gerald Vandezande, led that ministry for decades, and this little devotional reminds us of the rich Biblical heritage that served to shape CJL and CPJ. These authors live this stuff, and their own rich Biblical reflections have emerged out of their own engagement with issues in the public square, service to the marginalized, and taking stands for public justice and the common good. 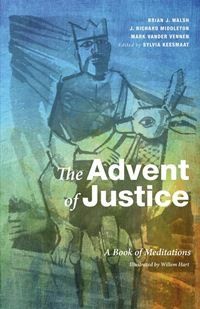 Still, even though this is dedicated to the justice activists and citizen advocates of CPJ and brings themes of justice to the fore, it is – let me be clear – an advent Bible devotional, short readings, day by day. They invites us to read the Bible text first, spend time pondering their explication, and then to return to the Bible text again, reading and hearing it with new eyes and ears. They do this to help us have a meaningful and joyous holiday season, to await well, to make time for God’s Word during Advent. They really do hope you have a good holiday season. May it help you wait well. W ow — we are just jazzed to tell you about this. We may be one of the very first bookstores to carry this, and it is an honor to be in on its distribution. Brian does a passionate and wise pastoral letter to his friends in the academic community at U of T right before Holy Week each year, inviting people to attend to spiritual practices that week – to read and re-read the gospel accounts, to attend church, to grief and wait and watch and pray as we move towards Resurrection Sunday and our joyful celebration of Christ’s Victory. It is my own Holy Week custom to read and re-read Brian’s letters and these are doubtlessly the best stuff I read every year. And they remind us of the pathos and power and truth of Scripture. Which is to say I am sure these Biblical ruminations – some written in free verses, as poetically delivered, live — will be potent, powerful, maybe a bit controversial, perhaps. As is his custom, he offers creative, contemporary exegesis of the Biblical text — yes, the gospel according to John — in engagement with pop culture. One week it is a set of Joni Mitchell songs, maybe Leonard Cohen, maybe Springsteen or U2 or Mumford & Sons. But mostly John, opened up and read and proclaimed with an edgy honesty. Walsh loves the Scriptures, believes the book is subversive and, properly opened up, God’s Word to subvert and challenge, heal and offer hope. I can’t wait to read this self-published, handsome volume of “Wine Before Breakfast” Johannine messages. I hope you are curious, too. 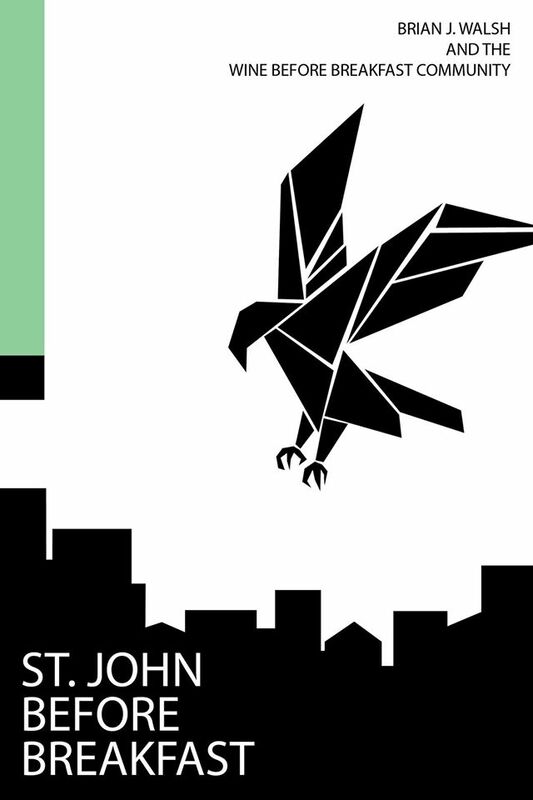 Each chapter of St. John Before Breakfast includes an opening reflection, maybe a story, setting the stage, sometimes using the music or something from the news of the week) and then a homily on the passage. Many weeks there is a litany, a responsive reading, some sort of liturgical/poetic response. (These are very useful, by the way, and could be used or adapted in your own group or church service.) A few of the chapters are offered by other “Wine Before Breakfast” members and friends. It is truly amazing stuff and I am hard pressed to think of any other book quite like it. This self-produced book is a fund-raiser for Walsh’s campus outreach there, and we are glad to be able to help him sell it. It is a nicely done project, not widely available. We hope that as you consider ordering Subversive Christianity or The Advent of Justice you will also consider picking up this, trusting that it will draw you into the extraordinary story John tells of this extraordinary Messiah, fully God, fully human, a suffering servant and healer of the cosmos. John, who points us to Jesus. 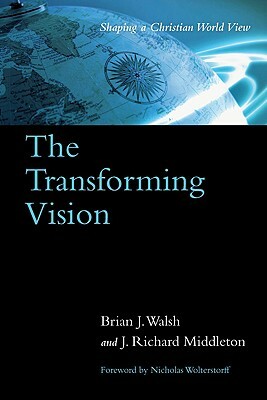 A transforming vision, indeed.